The first Android Nougat phone is headed our way: LG's V20. (But existing Android users, never fear: Nougat is coming to most recent Android phones, too.) 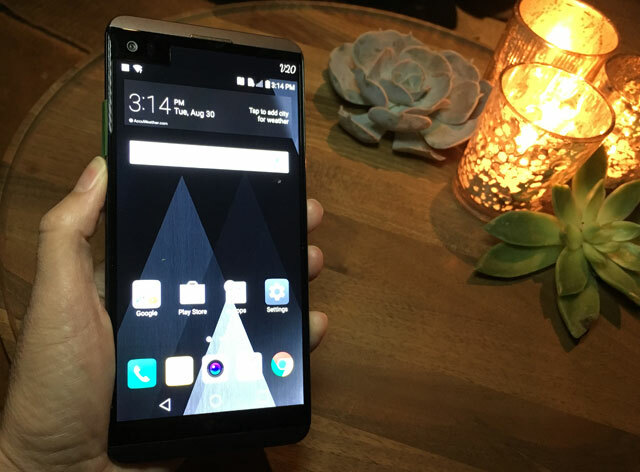 It's a solid upgrade to last year's LG V10: while it has the same 5.7" form factor and quad HD display, it's thinner and lighter, with a new metal body and a display that goes all the way to the sides. The battery is a respectable 3200mAh and, unlike many smartphones on the market, is easy to swap out if you run out of juice: just press a button on the side to open the case and pop out the battery. 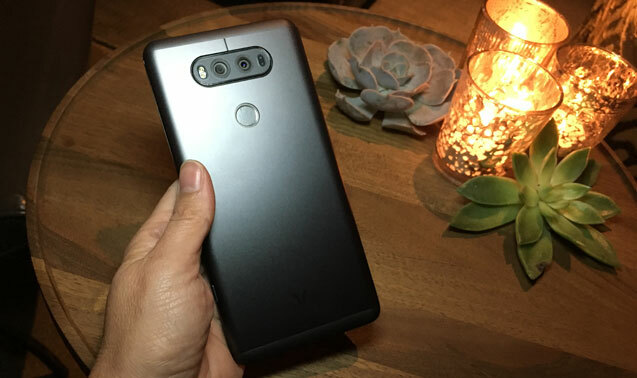 But the V20's most impressive features are upgrades to the cameras, which offer better still photos, sharper video, and clearer sound recording. The phone features Qualcomm's brand new Steady Record 2.0 system, which is exclusive to the V20. It works with the phone's gyro sensor to stabilize your video in real time, so you can catch great action video. Focusing is improved too, with tracking focus that keeps the camera focused on a moving object—great for catching crisp photos of the kids at soccer practice (or a dance recital or just about anything else). A hybrid autofocus system—with both laser autofocus and phase detection autofocus—means it focuses on the subject fast, no matter what the lighting conditions. All of the lenses are faster, under f/2.0 on both the back and front. Audio recording and playback are going hi-fi, too: the V20 features high AOP mics for lossless 24-bit audio recording. It will record at up to 132db, loud enough to capture noisy concerts or sporting events. Quad DAC means audio playback is 6.5 times more accurate and has better noise cancellation. It can also play back lossless audio files, including FLAK and Apple's file formats. You'll have to use wired headphones for the best quality, which audiophiles will certainly appreciate. Also included is a fan-favorite feature from the V10: an always on second screen. This tiny screen along the top of the display may seem like a gimmick, but it's surprisingly useful—a perfect place to see notifications, even when your phone's main display is off. In the V20, it will be brighter for improved visibility and feature larger fonts for easier reading.